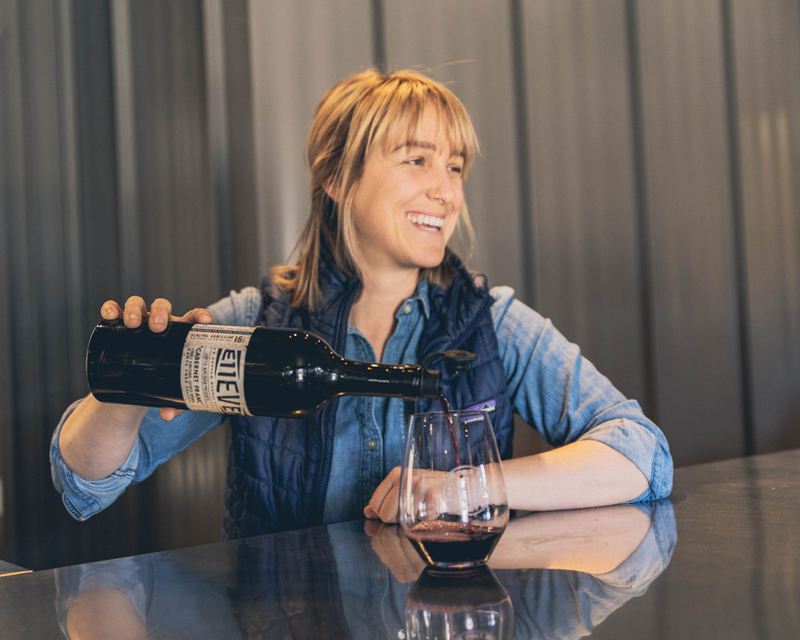 McKenna Giardine is just one of 22 women winemakers celebrating on March 8. In honor of International Women’s Day on March 8, nearly two dozen women winemakers and 10 female chefs are gathering this Friday in Solvang for the third straight year to toast Santa Barbara County’s strong tradition of female vintners. “Santa Barbara County boasts a much higher percentage of women winemakers than most places in the world, with nearly double the average,” explained Buttonwood winemaker Karen Steinwachs, who cofounded the dinner. And the ranks appear to be growing steadily, with younger faces popping up all the time. Here are two of this next generation, Kat Gaffney of Spear Vineyards and McKenna Giardine of Andrew Murray/E11even Vineyards. They were actually roommates for two years, along with their friend, Wynne Solomon, who is now the winemaker for Peake Ranch. Resume: I started behind the bar in 2011, at a tasting room in the Funk Zone. After two years, I decided to give harvest a shot. I had a friend working over in New Zealand and I reached out to her for advice. I applied at over 50 wineries and only got one job at a huge custom crush winery in Marlborough called Mud House (now known as NZ Wineries LTD). After three months there, I came back to Santa Barbara and got an internship working for Andrew Murray for fall 2013. Then from 2014 to 2016, I jetted around between Napa (Heitz Wine Cellars, Schramsberg, and Miner Family Winery), Australia (Knappstein Winery, Vanguardist Wines) and New Zealand again. In the summer of 2016, I came back on as the enologist at Andrew Murray and then was promoted to assistant winemaker two years later. This past month, I have taken over the winemaking for our E11even wine label, which I am thrilled about. Winemaking is very physical work, requiring endurance, muscle, and grit. I think women can be treated with bias in this aspect, treated as not physically capable to perform at the level of a man. My first harvest in New Zealand was the first exposure to this bias toward women. The winery split us up into teams: cellar, ferments, lab, and presses. The majority of cellar and press work was allocated to men while women were sent to the lab. It was a palpable separation. In a large winery, hoses and pumps are double the size they would be in small winery, so moving equipment takes some muscle. Apparently, they didn’t think a chick could hack it. However, since I had zero experience in anything wine related, I became just an extra body. The winery was short-staffed in the cellar, so they sent me to work there. My cellar supervisors were all men. They would give me jobs like “watch this pump” or “clean these buckets,” nothing at all physical. Luckily, one of my coworkers took me under his wing and showed me the ropes. Soon I was dragging four-inch must lines, carrying full buckets up four flights of stairs, and pushing pumps around the winery like a maniac. I pushed myself hard to be viewed as an equal in the eyes of my superior. I had a deep desire to prove myself to anyone and everyone. I still pull from this experience to keep myself motivated and hungry. Advantages to being a woman? The networking system we have established in Santa Barbara County is insane. We have a group, WIWCC (Women in Wine Central Coast), that has more than 150 members. I know for a fact that I can count on any one of those women for support on so many things, from housing for interns, to needing extra filter pads or even analysis related questions. The level of support is high. Tired or proud of being labeled a woman winemaker? I have a strong love and admiration for my fellow ladies of industry. I feel honored even being placed in the same sentence as them. I only tire being grouped when “Women in Wine” is portrayed as a gimmick for companies to sell wine — less about the talent of the individual and more about their gender. To me, talent should be genderless. Does the world know that Santa Barbara has such a high concentration of women winemakers? I’m asked this question a lot. In my opinion, no. Santa Barbara County has managed to remain a hidden gem of the Central Coast and often can be overlooked as a wine region. We are still flying under the radar. How was living with two other winemakers? We are friends who shared many great bottles, meals, and laughs under the same roof. Kat and Wynne are both incredibly talented winemakers with remarkable palates. They are and will be the “ones to watch.” I hope their good juju rubbed off on me. How are you helping younger females move up in the business? Moving back down here in 2016, I felt it was important for me to create deeper bonds and connections within the wine community. That was something I hadn’t experienced during any of my previous internships. So I established Women in Wine Central Coast to cultivate networking, support, and growth for women in Santa Barbara County. This group is not just established winemakers, but for all levels of experience (interns, students, etc.). Also, we set up an annual “Intern Meetup” when harvest season rolls around, so newbies to our area can meet other interns and establish some good connections. What will you be pouring at the March 8 dinner? I’m planning to bring two “special pours” that I’m excited about: Our 2018 Rose of Pinot Noir and as well as an experimental white blend we made during 2018 harvest. Resume: My first job in production was as a harvest intern in 2011 in San Luis Obispo. Since then, I’ve had the good fortune to work in cellars in New Zealand, Oregon, and Santa Barbara County. Every woman in wine production has a story about not being taken seriously as the person in charge, or having assumptions made about your competence or proficiency at any given task. I’ve been luckier than most in that even in the most male-heavy cellars, my capabilities were never seriously doubted. Or if doubts were had, they were never communicated to me. The advantage to being a woman in the business is that as women, and relative minorities in this industry, we’ve cultivated our own networks and support systems. I know many women in production here who have my back if I need help, and it’s easier for me to ask for help from that network than from a male colleague. I’m honored to be included in such an esteemed group — the energy among women in wine production is inspiring and infectious. After every encounter, I leave feeling refreshed and reenergized. The fact that sometimes my name comes up in the same sentence as theirs is mind-boggling. I would like the reaction from consumers to change from one of surprise — to me, it isn’t surprising that women are winemakers or GMs, or owners! Not to my knowledge, no. In my experience, that fact is somewhat shocking to people. Santa Barbara flies under the radar in comparison to a lot of the larger regions, so it doesn’t surprise me that this fact is relatively unknown. I lived with Wynne Solomon and McKenna Giardine for about two years. We met through the wine industry, but we lived together because we were friends and we were all in need of housing. The advantage of living with someone who works in the same industry as you is that there’s already an understanding of what exactly your day-to-day looks like. Being a winemaker means different things in different wineries, though. Our job descriptions have less in common than you might think! I enjoyed coming home to kindred spirits in similar professional circumstances, but I know we’ll stay close. I don’t think it had a direct effect on our careers, but having a sympathetic ear at home to talk shop, vent, or celebrate milestones is always a plus! They’re talented winemakers and incredible people — if you haven’t met them or tasted their wines, you’re missing out. 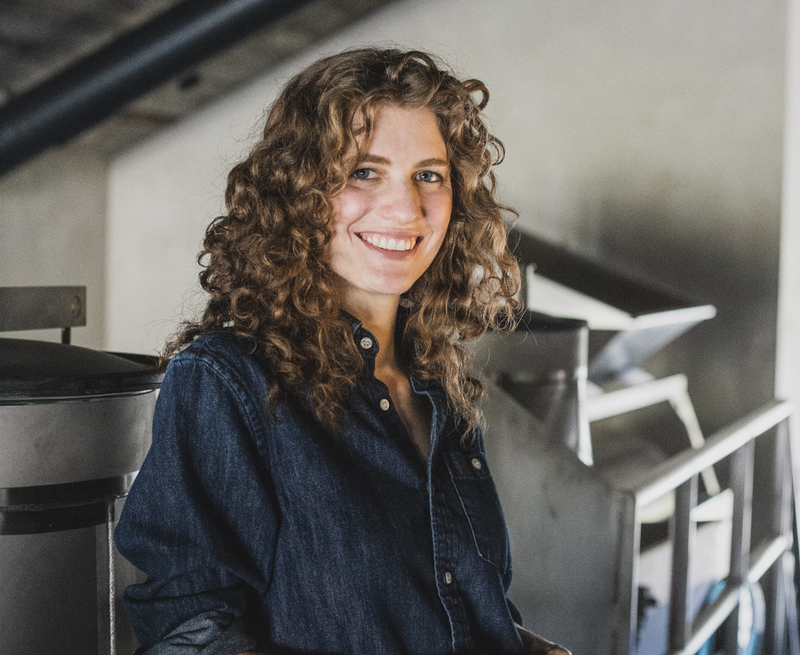 There’s a wonderful network of Women in Wine here in Santa Barbara County, which McKenna started a couple of years ago, and any work that I can do to foster and grow that network to encourage other women to pursue winemaking as a career, I will. I’m looking forward to presenting the 2017 estate wines from the Spear Vineyard; the chardonnay, pinot noir and Syrah. This is the 5th leaf from the property, and my first as the winemaker. The vineyard is growing up beautifully, and every year is an education. Tickets for the Women Winemakers Dinner 2019 range from $50 (for the 5:30-7:30 p.m. tasting with apps) to $125 (includes the four-course dinner with pairings that follows). It will be held at K’Syrah Catering & Events, 478 4th Place, Solvang. See womenwinemakersdinner2019.eventbrite.com.